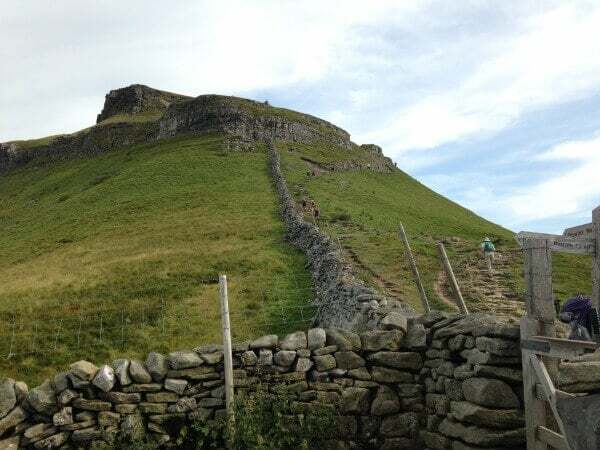 Last weekend a team of nine of us travelled up to Yorkshire to take on Pen-y-Ghent, Whernside and Ingleborough, the Yorkshire Three Peaks. 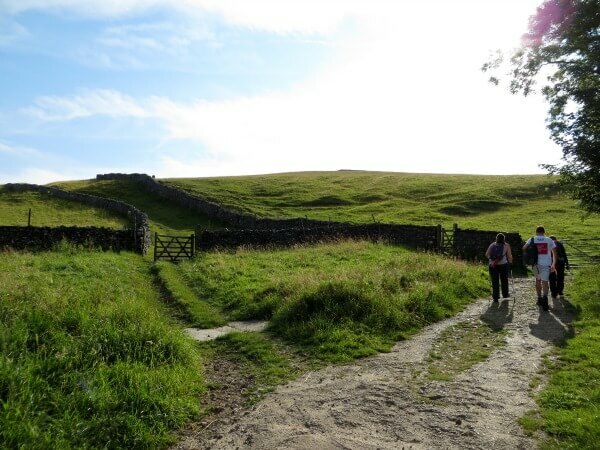 We had been preparing for this giant challenge with several practice walks but nothing could quite prepare us for the gruelling 25 mile hike that we had to do. The first challenge we had to face was getting from Folkestone to Yorkshire, which ended up taking us 11 hours. This meant that we only got about 5 hours sleep before our walk. We split into two groups for the hike: Luke, Ant and Tom were in one group, they were going for a fast time, and Lee, Pascal, Nikoo, Rachel, Justine and Alice (me!) were in the other (slightly slower) group. We set off at about 8am and we soon got an idea of how hard the day would be. Even early in the morning the heat really hit us and we knew that it was going to be a long day. The hike started straight away with us starting to ascend the first peak, just to show us what we were letting ourselves in for. 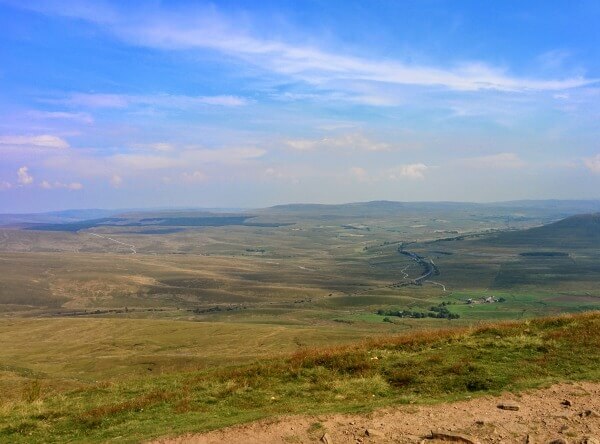 We were feeling confident when we reached the top of the first peak Pen-y-Ghent in around two hours, but we underestimated the walk from Pen-y-Ghent to the bottom of Whernside where we had to stop for lunch and deal with some blisters! Setting off after our break was difficult. The extremely long hike up the second peak took all our energy and brought some injuries and tears with it too. With the rather emotional climb up the second peak we decided quite close to the top that Rachel and I would go back after we had finished climbing the second peak. We were both suffering with injuries and decided it would probably be best not to hurt ourselves more. Lee, Pascal, Nikoo and Justine went ahead to finish the course as Rachel and I slowly made our way down the second peak to the pub! 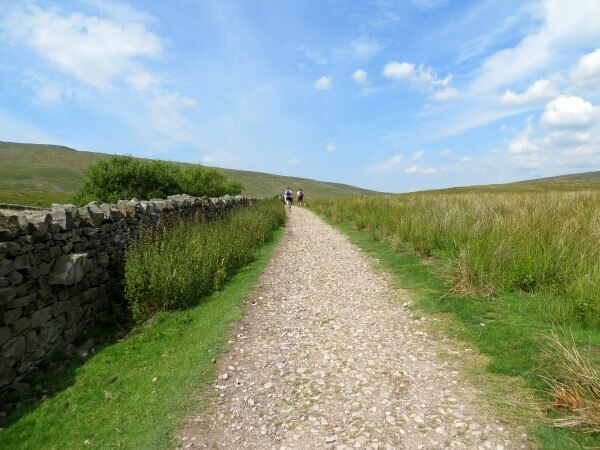 After making our way to the bottom of Whernside we were feeling a lot more relaxed and glad that it was over. We headed to the pub on the main road ready to head home when walking past the window were Lee, Pascal, Nikoo and Justine. They had taken a wrong turning and we had overtaken them. I was feeling a lot more energetic and I wanted to take on the final peak. Rachel was completely knackered and decided that it would be best to not walk any further. The five of us headed for the last peak but by this time we were all extremely tired and ready for it to be over. The ascent for the last peak was the steepest. When we were looking at it from a distance it just looked like a cliff face. Somehow, we managed to haul ourselves up it and finally we had done it! The only problem now was that we still had a three mile hike to the end of the walk. The last few miles felt like they went on forever. It got dark and started to rain as we were all hobbling to the finish, but we made it! We completed the hike in about 13.5 hours and the other group finished in 8 hours and 27 minutes, impressive! It was an emotional and exhausting experience but it was extremely worth it. 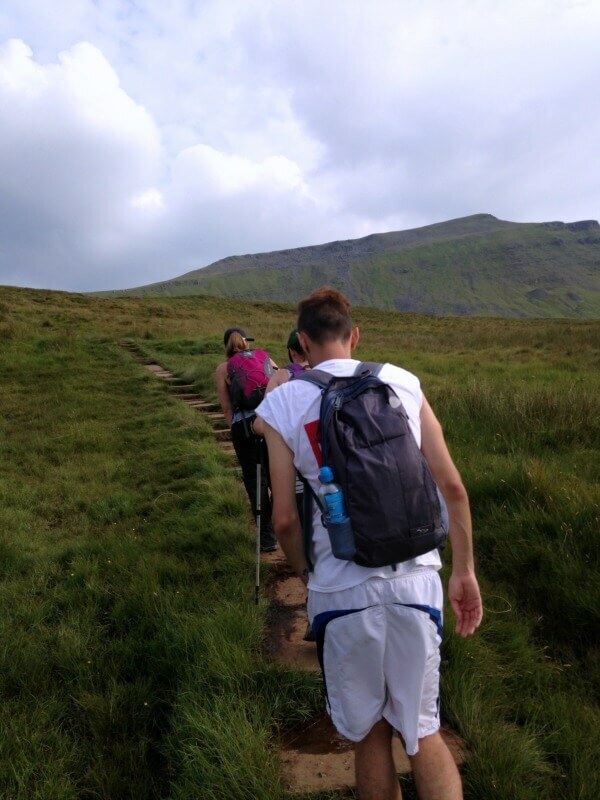 The views from the tops of the peaks were amazing and the money we raised has helped us get closer to our £10,000 target. Remember you can still donate and by going to our JustGiving page and we still have one more giant challenge left where Lee, Luke, Ant and Tom are kayaking around the Kent coast. Watch our before and after videos to see how the challenge went!